President Vladimir Putin told Russians on Wednesday he had decided to dilute unpopular draft legislation to reform the pension system which has hurt his own popularity, but said a shrinking workforce meant some kind of reform was necessary. “The demographic development and labor market trends and an objective analysis of the situation show that we can’t put this off any longer. But our decisions must be fair, balanced and absolutely take into account people’s interests,” said Putin. The original proposals, which envisaged raising the retirement age to 65 from 60 for men and to 63 from 55 for women, have pushed Putin’s own popularity down to its lowest level in more than four years and stirred protests. 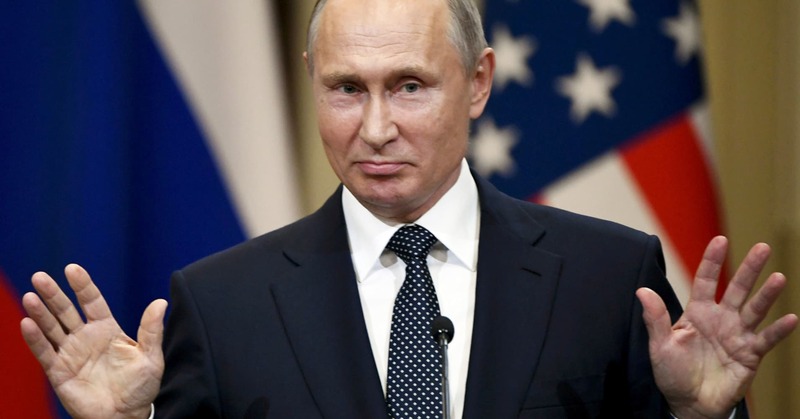 Putin said the draft legislation going through the State Duma, the lower house of parliament, would be amended to reflect his own ideas in the near future. Alexei Navalny, have tried to tap into public anger by organizing protests. 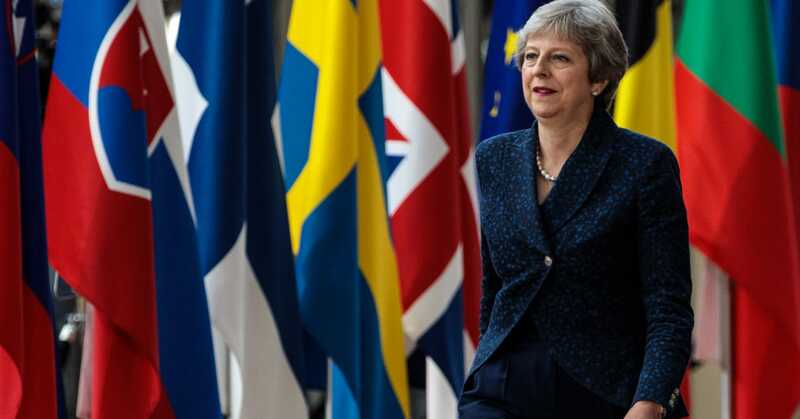 European leaders told Prime Minister Theresa May on Thursday to soften some of her red lines on Brexit, warning her that time was running out to prevent Britain crashing out of the European Union without a deal. At an EU summit focused more on a crisis over migration than on Brexit, the region’s leaders expressed rising frustration over the lack of progress in the talks, just nine months before Britain is due to leave. May has hesitated to spell out detailed plans for Britain’s departure from the EU because of divisions in her ruling Conservative Party and government over the terms of Britain’s biggest foreign policy shift in almost half a century. “We did expect that we would make more progress, or any progress, at this summit in June … That hasn’t been,” Irish Prime Minister Leo Varadkar told reporters after arriving in Brussels. His comments that Ireland would prepare ports and airports for a so-called “no deal” Brexit sent the euro lower against the dollar, and increased pressure on the British leader to start pushing the talks forward. 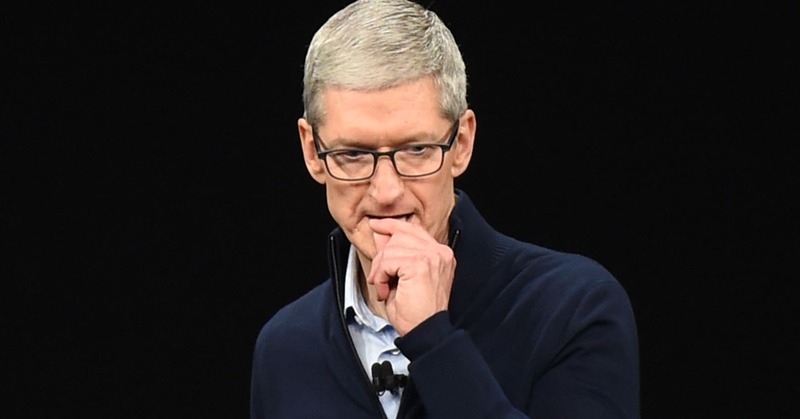 Apple sank into correction territory Tuesday, falling below $163 for the first time since February. Shares were off more than 11.5 percent since March 13 — when the stock hit an all-time intraday high of $183.50. Wall Street is increasingly wary of the stock as evidence piles up that iPhone demand will soften. The company is also reeling from reports of currently weak iPhone sales and one analyst’s prediction that the high-end iPhone X would be killed off this year — though not everyone agrees with the premise. J.P. Morgan Chairman and CEO Jamie Dimon says he tried to persuade President Donald Trump to change his trade policy plans. Trade tensions between the U.S. and China have risen in recent weeks. China on Wednesday announced tariffs on 106 U.S. products, including soybeans, cars, aerospace and defense. The move came a day after the Trump administration detailed the list of Chinese imports that it aims to target with tariffs. Dimon said Trump’s policies of tax reform and deregulation are positive for the U.S. economy and financial markets, but the president’s trade policy may be a negative headwind. “We were very honest and he likes honesty. 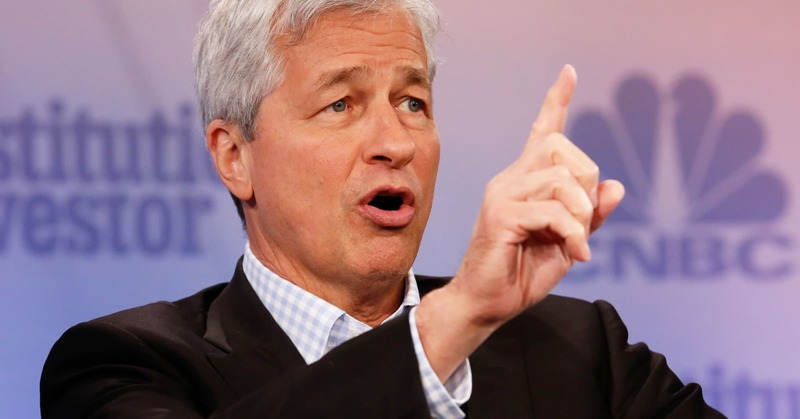 We told him [Trump] what we thought and it wasn’t what he thought at the time,” Dimon said. In his annual letter to the bank’s shareholders released early Thursday, Dimon backed Trump’s efforts to get more favorable trade terms with China and other countries but suggested the U.S. work more closely with allies to bring China to the negotiating table. 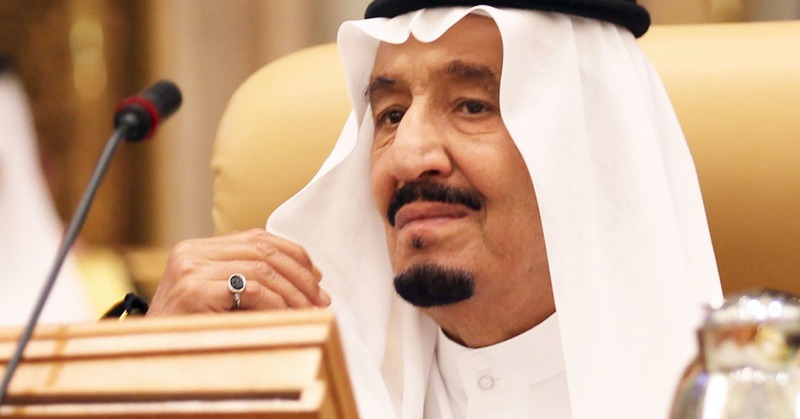 Saudi Arabia’s King Salman has authorized a range of bonuses and payouts for citizens, including a monthly payment of 1,000 riyals ($267) for civil servants for the coming year just days after a new tax was introduced and subsidies were lifted on gasoline. The government said the measures are meant to “ease the burdens” of price hikes on citizens as the state works to restructure its economy amid lower oil prices. In a series of royal decrees issued overnight Saturday, the king ordered a 5,000 riyal ($1,333) payout to military personnel serving on the front lines of the kingdom’s war with Yemen, as well as a 500 riyal ($133) allowance for one year for retirees and those receiving social security. Students’ monthly stipends will be boosted this year and the government will bear the cost of the new tax for some services and for the purchase of a first home valued at up to 850,000 riyals ($226,600). The king also ordered that government salaries be paid before electricity bills are issued each month. On Jan.1, the government introduced a 5 percent value-added tax on goods and services, raised the price of electricity and reduced subsidies on gasoline, nearly doubling the price at the pump. A Twitter hashtag this week garnered thousands of tweets complaining that salaries are not enough to cover the cost of living. A similar hashtag a few years ago prompted the government to reverse a freeze on bonuses and government perks. Saudis opposed to the freeze had pointed to other energy-rich Gulf countries, like the United Arab Emirates and Qatar, where government salaries are much higher. The government recently instituted a new welfare system reaching approximately 3 million families and 10.6 million beneficiaries— or roughly half the Saudi population. Half of those families received the maximum payment of 938 riyals ($250). The minimum payment is 300 riyals ($80). The government expects to pay approximately 32 billion riyals ($8.5 billion) on the Citizen’s Account payments in 2018. 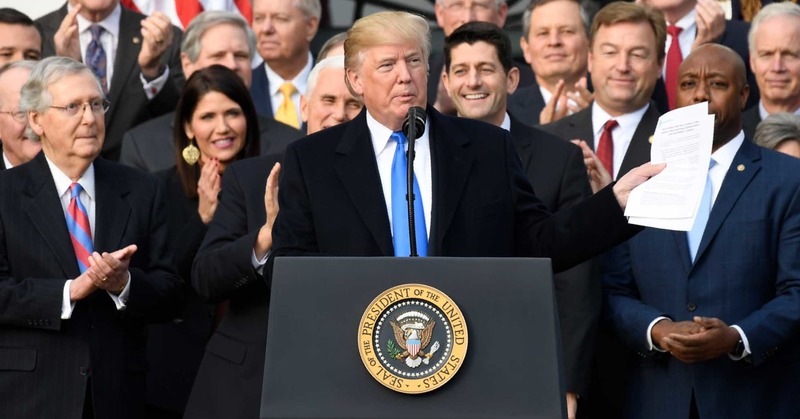 The Tax Cuts and Jobs Act, the GOP’s overhaul of the tax code, includes an enhancement of the child tax credit, doubling it to $2,000 per qualifying child. President Donald Trump finds himself under immense pressure as he considers de-certifying the international nuclear deal with Iran, a move that would ignore warnings from inside and outside his administration that to do so would risk undermining U.S. credibility. Senior U.S. officials, European allies, and prominent U.S. lawmakers have told Trump that refusing to certify the deal would leave the U.S. isolated, concede the diplomatic high ground to Tehran, and ultimately risk the unraveling of the agreement. Signed by the United States, Britain, France, Germany, Russia, China, the European Union and Iran, the deal relieved sanctions on Tehran in exchange for giving up its nuclear weapons program. After Trump made clear three months ago he would not certify Iran’s compliance, his advisers moved to give him options to consider, a senior administration official said. “They came up with a plan that protects the things they are concerned about but doesn’t recertify, which the president made clear he was not going to do. That ship has sailed,” according to the official, who spoke on condition of anonymity. The official said Trump has been telling foreign leaders and U.S. lawmakers that his refusal to certify the Iran deal would not blow it up. “He’s not walking away from it. The chances of him walking away from it go down if they work with him on making it better,” the official said. White House officials said Trump is expected to announce a broad, more confrontational policy toward Iran directed at curbing its nuclear and ballistic missile programs and financial and military support for Hezbollah and other extremist groups. Trump has said he believes the nuclear deal is too generous toward Iran and would not stop it from trying to develop a nuclear weapon. 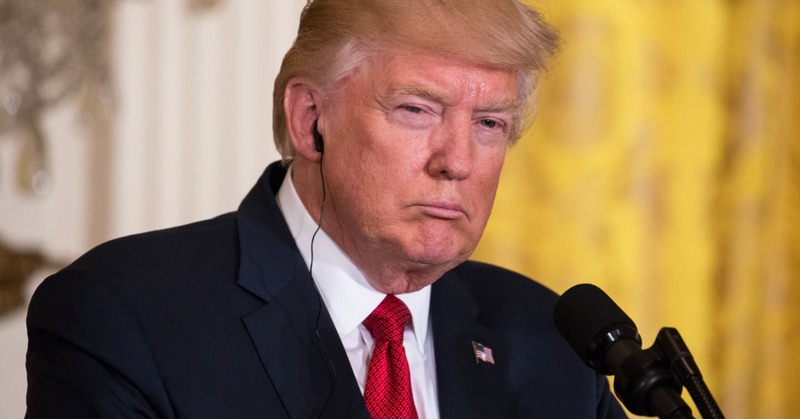 He has criticized the agreement’s “sunset clauses,” under which some restrictions on Iran’s nuclear program would expire over time. He also wants to toughen language on ballistic missiles and inspections. The International Atomic Energy Agency says Iran is complying with the agreement. French President Emmanuel Macron says his glamorous Paris charm offensive on Donald Trump was carefully calculated — and may have changed the U.S. president’s mind about climate change. Macron defended his outreach to Trump, whose “America first” policies have elicited worry and disdain in Europe. “Our countries are friends, so we should be too,” Macron said in an interview Sunday in the Journal du dimanche newspaper. After a tense, white-knuckle handshake at their first meeting in May, Macron said they gained “better, intimate knowledge of each other” during Trump’s visit to Paris last week. Increasing droughts and other extreme weather blamed on man-made climate change are worsening migration crises and conflicts in some regions as populations fight over dwindling resources. 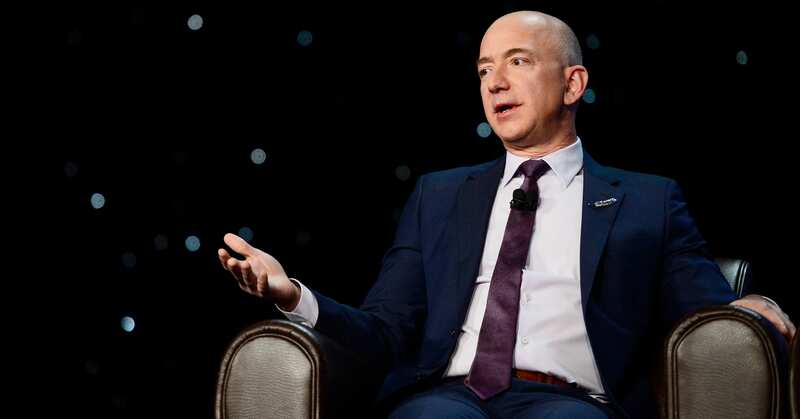 “He said he would try to find a solution in the coming months. We spoke in detail about what could allow him to return to the Paris deal,” Macron said, according to the newspaper. 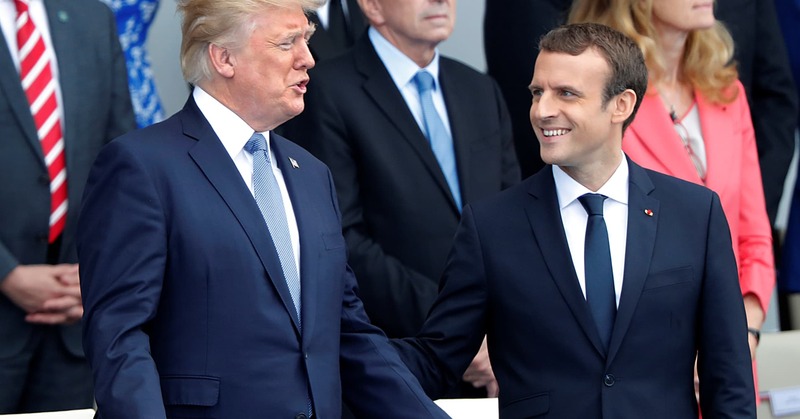 While in Paris, Trump remained non-committal about the U.S. eventually rejoining the climate agreement, telling Macron, “if it happens that will be wonderful, and if it doesn’t that will be OK too.” Trump has said the climate deal was unfair to U.S. business. The French leader acknowledged that Trump’s Paris visit — including a formal welcome at Napoleon’s tomb, dinner in the Eiffel Tower and a place of honor at the annual Bastille Day military parade — was choreographed to give Americans a “stronger image of France” after deadly Islamic extremist attacks damaged the country’s vital tourism sector. It was also aimed at Trump himself, who has said that Paris has been ruined by the threat of terrorism, which he ties to immigrants. “I think Donald Trump left having a better image of France than upon his arrival,” Macron is quoted as saying.